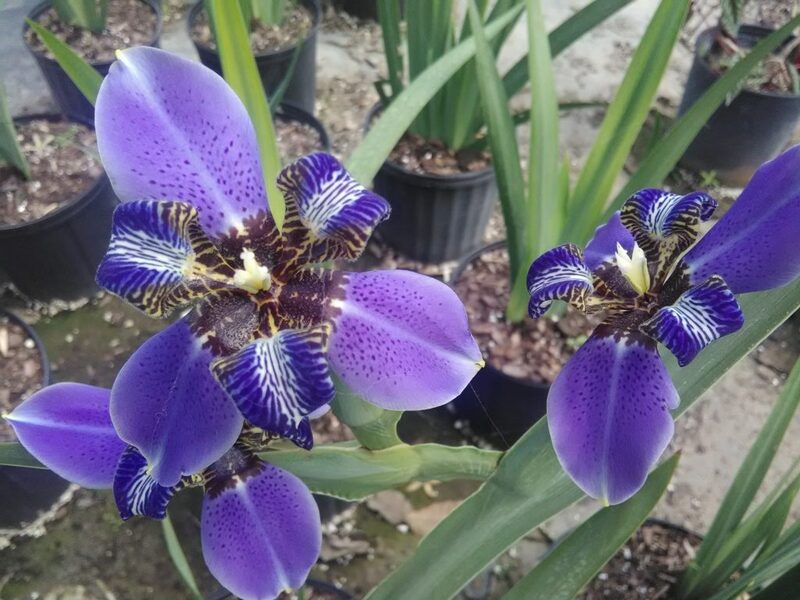 Under The Jakfruit Tree - Richard Lyons Nursery, Inc. 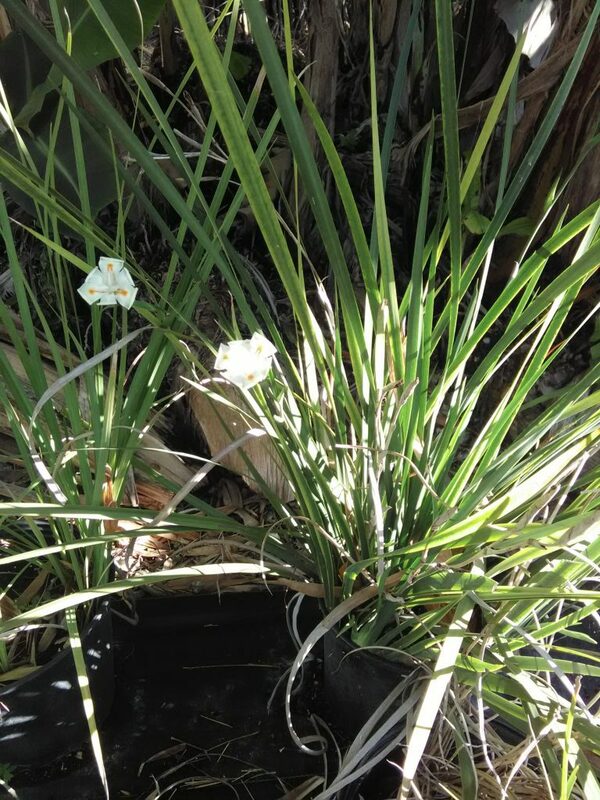 Looking around the nursery in some filtered light I came across three tropical irises. 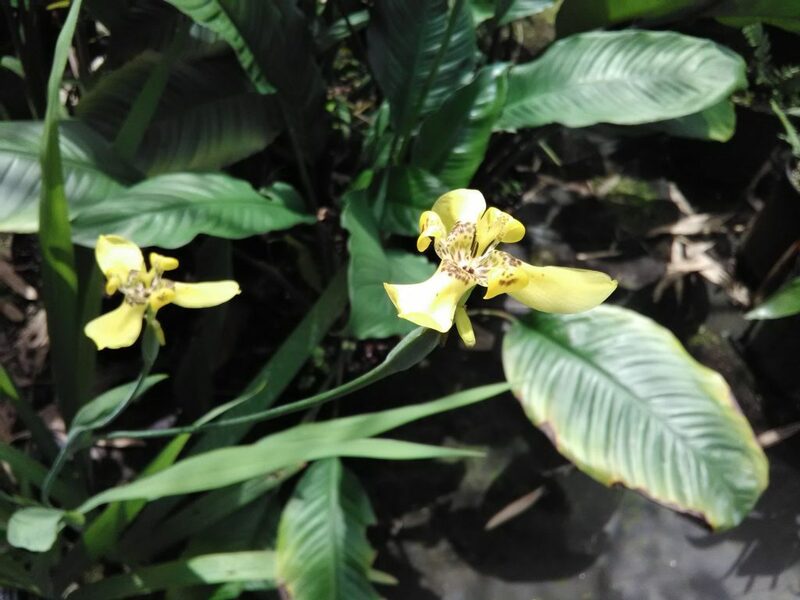 Two are in the genus Neomarica, commonly called the walking irises due to the flowering stems arching to the ground after flowering and new plantlets developing where the old flowers have died. 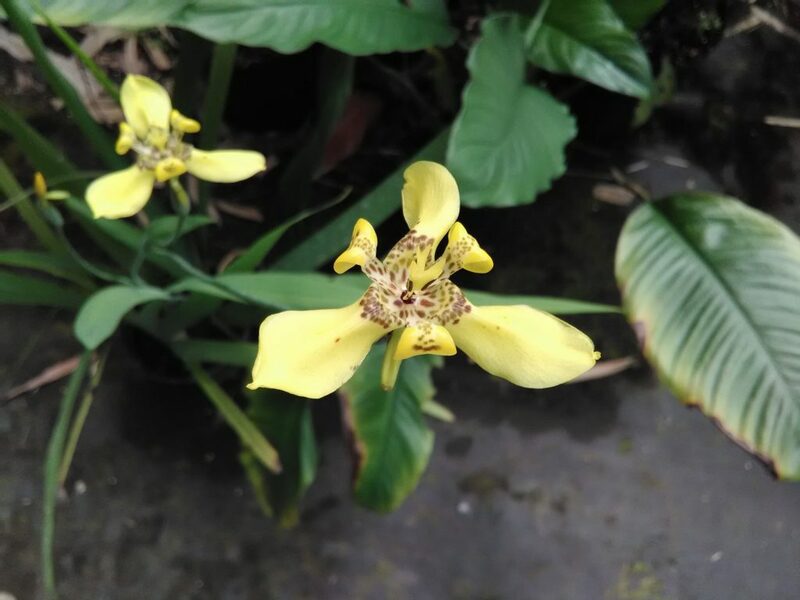 This gives the appearance of ‘walking’ along the ground. 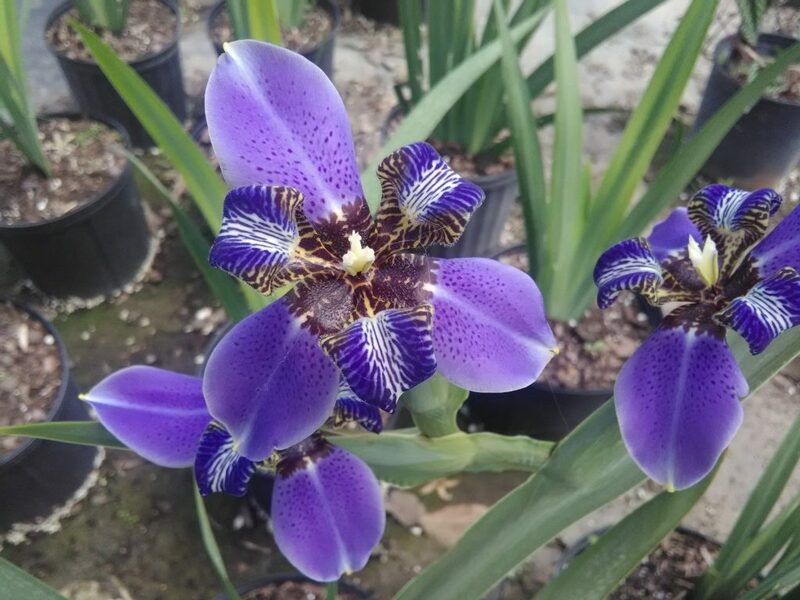 Richard Lyons Nursery has two species, caerulea which the flowers are dark blue, and longifolia which has yellow flowers. 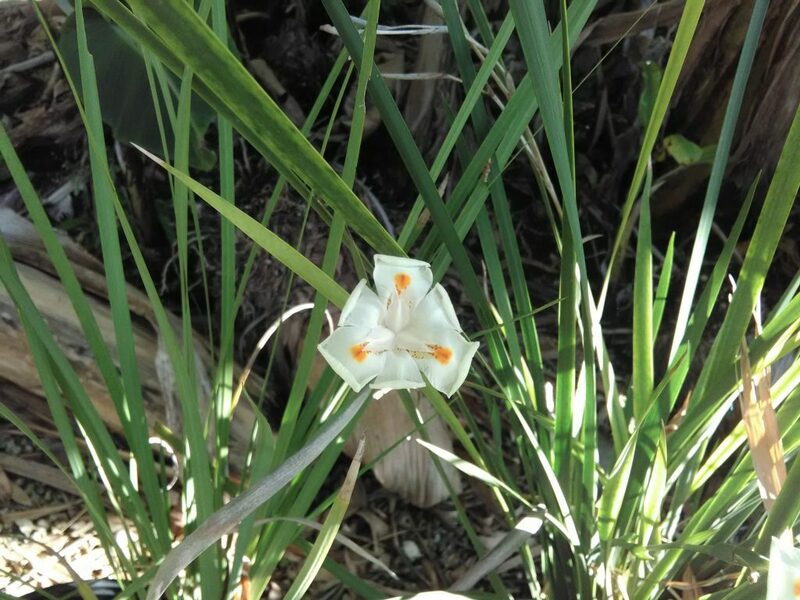 A similar looking flower, Dietes iridioides, is white, but the foliage is very narrow and strap like and the plant clumps through underground rhizomes.